How is the health of your home church? Ponder that for a moment. It’s a question that we don’t often consider. We assume that because the doors open each Sunday morning, everything is alright. But the gates of the cemetery are open often and many of us go there to visit. We’re frequenting a place where no life exists, and yet we have no illusions about it. There are plenty of bodies there, but no spiritual life. We know that, and it doesn’t stop us from coming. We even bring living flowers to a place that’s known for death. Our mere presence doesn’t change the situation. There’s no pretending and there’s no doubt about where we are. In a cemetery, people are dead. So, I ask again, how is the health of your home church? Contrary to what many of us believe about ourselves, we aren’t bodies that possess spirits, but rather spirits that possess bodies. So a body without a spirit is dead. When we consider the state of our churches today, remember that we are called the body of Christ. However, if we have not the Spirit of the living God, we are dead. We may be moving around, we may be singing, we may be testifying, we may even be preaching and teaching, but without the Spirit of God, we are still dead. Make no mistake about it, the Spirit may come and go in your church. There may be some parts of the service that are more energetic than others. Sometimes that’s because the Spirit is there, while other times we’ve been fooled by the emotion of the moment. What that means is just because someone got excited in church doesn’t mean that it is a Spirit-filled excitement. And if you’re serving in a place where the Spirit doesn’t abide, you are serving in a place that’s dying or already dead. This isn’t a statement on the individual worshiper. This is a statement on the body as a collective. There may be people within the congregation that are Spirit-filled, but if the body as a whole isn’t that way, then the entire place is dead. Believe me, if there are parts of your body that are alive, but the majority of you is dying off, if you don’t get some help, it’s just a matter of time before you’re overtaken by death. So what is the reason for the church dying off? There are two critical areas that we can examine: false prophets and a lack of nourishment. Understand that even healthy looking people can still be unhealthy (See Ananias and Sapphira in Acts Chapter 5). Understand that many men called of God have engaged in false prophecy for their own gain (See Balaam in Numbers Chapter 22-24, 31:8, 15-16). If you aren’t fed properly, you die. If you don’t have a means to get your nourishment, you die. All of this hinges on whether or not there is good leadership in place. There are two things that false prophets rely on from the people: Darkness and silence. A spirit of false prophecy thrives on a people that don’t know the truth of God’s Word and what He’s called them to do. Also, they rely on the silence of those people. They count on those that know better to keep quiet about what they know, and for those that don’t know better to quietly trust them, and never ask any questions, even if it seems as though things are going the wrong way. Individual and critical thinking is discouraged, and even looked upon as disrespect. But if you’re not thinking for yourself, you are in a vegetative state. Someone may be about to pull the plug on you. Those that God has placed in leadership can develop a God-complex when they go unchecked. This is why a pastor must have a pastor that they not only revere and respect, but will listen to and follow, because no one is always right. A false prophet would have you to believe that they shouldn’t be questioned because their knowledge is above yours. However, the best leaders will listen to those they’re leading because when you don’t, you kill their spirit. Even if that leader feels they are right, they must at times entertain the wishes of the people, just in case they’re wrong or to allow the people to see the error of their own thinking. Even God yields to the will of man at times in order to make His point. What leader is justified in being so stubborn that they can’t do the same? These people fear the individual in the group that will ask “Why”. But even God allows that question, so why shouldn’t man? This was something that plagued Blacks when we were slaves. There was a fear that if we learned to read, we’d gain an understanding. Once you understand, you are no longer in darkness, you are walking in the light. You’re no longer stumbling around, unsure of where you’re going or what you might bump into. Once you have an understanding, you ask questions when something goes against that understanding. You may even choose not to participate in some things that go against your spirit. This kind of behavior is a nuisance to the false prophet or those bringing a false prophecy. But no one has ever grown mentally or spiritually without gaining an understanding, asking questions, and being skeptical when their questions go unanswered. 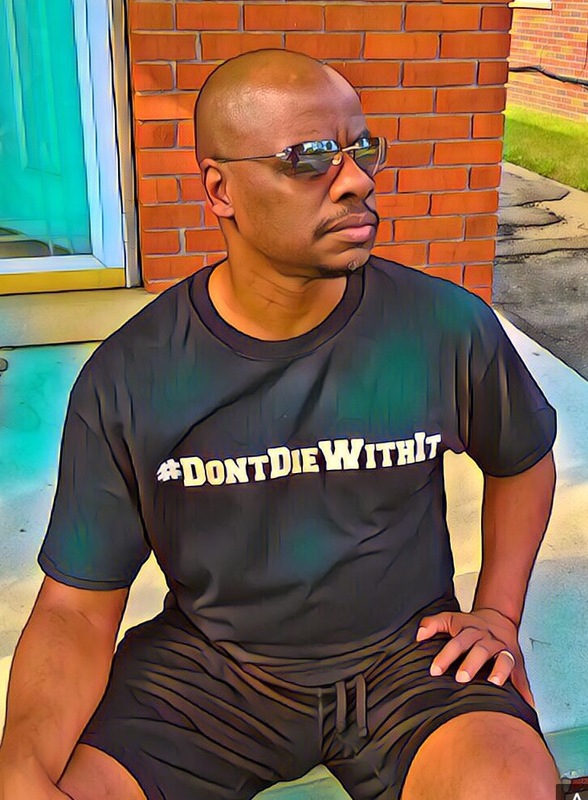 When you have a congregation of people that’s comfortable living in darkness and afraid to speak up when something isn’t right, there can be no growth. There are two things that will keep a flower from blooming: Lack of light and a lack of water. If we in fact seek the light that God gives, we can grow. If we in fact drink from the living water that God provides, we shall thirst no more. The issue in many of our churches is that we don’t realize how dry things have gotten. We don’t realize how dark it really is. We have no idea that the bloom is off our rose. We assume that because we’re standing, we’re alive. But a tree can stand upright for years, rotting on the inside. Without inspection, nobody knows it’s dying until it comes crashing to the earth! So many of our churches are functioning on ritual and habit. We’ve become inanimate objects. We’re not alive in Christ, we’re just existing. We aren’t sprouting new leaves of knowledge, we aren’t growing and reproducing, we’re just there because we’re expected to be. We’re in church because we’ve always been. We’re in the desert trusting all of the mirages (praise and responses that are emotional, not spiritual) that we see. We must be like that tree planted by the water in Psalms 1:3, that brings forth much fruit in our season. The Word of God says that our leaves shall not whither and we will be prosperous. However, if the landscape has changed and there’s no more growth, we must be willing to be uprooted and replanted somewhere else. A church that isn’t near the water of life and being kept away from the light of God can’t bloom. That church is ready to die. So, how can we stop this death? There are two things that can revive the church: The truth of God’s Word, and the courage and conviction of His people. There’s no point in Bible Class if it isn’t designed to empower God’s people. The goal isn’t to make the people dependent on the pastor. It is to teach them to be dependent on God. It is to help them to know the power of His might, not man’s. It is to make them so courageous, to convict them so deeply, that they have no choice but to stand on His word! Our churches are dying, not only because we so often miss Bible Class, but because we don’t apply what we’re learning when we do go. We’re dying because people are more concerned with the conviction of man than they are the conviction of God. They won’t challenge the wrong in their church because they’d rather be alright with the people they see each week. They won’t challenge false prophets and false prophecies because they’re being taught not to. They’re hungry, but they won’t cry out to be fed like a newborn baby because they don’t wanna make trouble, not really understanding that spiritual death is the most trouble any of us can be in. However, God’s Word is all the inspiration any of us should need when faced with the death of our church. God didn’t call us to be sideline Christians. We are called to get in the game. We are called to action. He doesn’t want us to act out of order, but He doesn’t want us foolishly compliant either. Sheep are reliant on a good shepherd to lead and protect them, but they aren’t called to follow just anyone. Jesus said that His sheep know His voice. If life isn’t being spoken in your church, it’s not of God. Don’t believe that God won’t move in you in order to move in your church. It’s alright to pray, but God’s answer comes through us. Believe it or not, this is a matter of life and death. 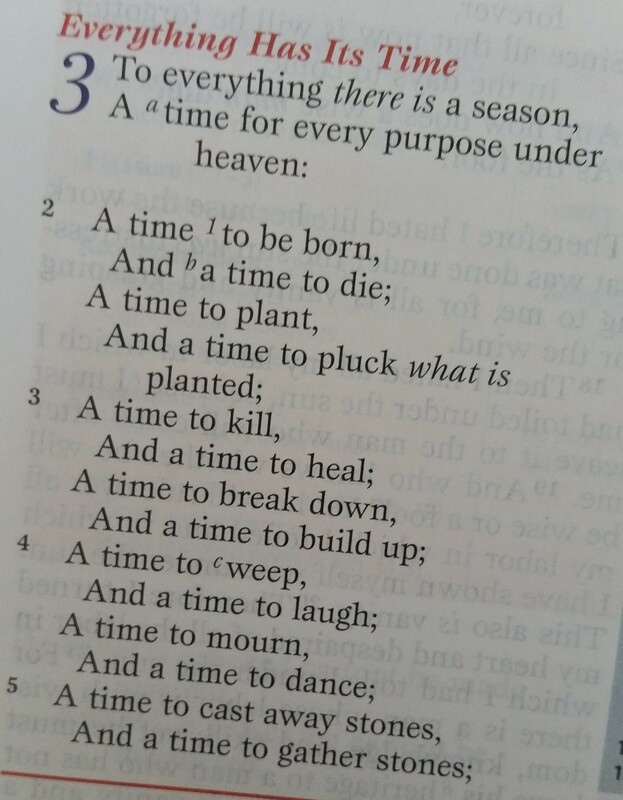 Ecclesiastes 3:1 tells us that there is a season for everything. That means that everything (including you and I) has a beginning and an end. This scripture also tells us that there’s a time for every purpose under heaven. While the text goes on to spell out all of the different things that have a time and purpose in our lives, we must understand that we too have a time, purpose, and season for what we are to do and when we are to do it. The key is to never stay beyond your season. There are times when we all overstate our importance in things. We’re often quick to identify our rights, while ignoring our wrongs. We’re quick to identify when someone else’s season is over in our lives, but we often fail to see when we’re out of season. God’s purpose for you in someone’s life or in certain situations isn’t necessarily never ending. Yes, God actually can hire us for seasonal work. Pride may keep us from seeing this, but humility can open our eyes. So how does this happen? Well, we often get comfortable where we are. We start out going places because God directed us there. We begin the work, we have positive results, and we sometimes figure that we can permanently set up shop. Unless the work is uncomfortable or taxing on us, we’re not looking to finish up and move on so quickly. However, when it comes to the ministry of our lives, we must always be ready to be on the move. The Great Commission in Matthew 28:19-20 starts with the word “Go”. Which means God has called us to mobility. He’s already made us aware that we may be planted for a reason and a season, but we must be at least willing to carry the work that He’s called us to do from place to place. No matter how much we may like where we are, there may be an expiration date on the work that we’re called to do in a particular place. God knows that comfortable sometimes breeds complacency, which can lead to resting on our past accomplishments, while not giving our best in the present day. We must be continuously inspired to go further, go deeper, and maybe even go away, in order to continue the work we’re commissioned to do. Resisting the call to move on when your season is through can lead to conflict with God and conflict in the place you’re serving. The Bible states in 1 Corinthians 14:33 that “God is not the author of confusion, but of peace”. Therefore, when He sends you to do a work, there are times when it may ruffle some feathers, but its end is peace. When the work you’re doing causes more problems than progress, you may be out of season. God will often send us into places to stir the nest, but it may be someone else’s call to settle things back down. And once things are settled, it may then be another person’s job to take things to the next level. The Apostle Paul spoke of such things in 1 Corinthians Chapter 3 when he made the distinction between himself and Apollos. 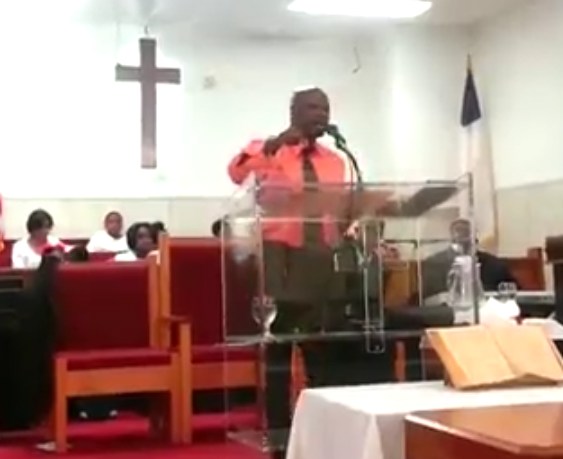 He reminded a church that was arguing over who was the better preacher that we are all servants of God. One may plant, one may water, but it is in fact God that will give the increase. Once we understand that it is in fact God that makes it all grow, we can better accept it when our season is up. We can better understand that once we’ve done our work in service of The Lord, He has someone else to carry the work forward. Our job is to plant what we have for the edification of the people, and then move along as instructed so God can complete His work. If I may use an example, when an apple tree is planted, its purpose is to produce apples when the season is right. Once those apples are ready for the harvest, they should be gathered to be consumed. If you don’t gather them in season, they fall from the tree. They begin to rot. All sorts of insects come around and begin to destroy the apples, and now the tree and its fruit represent a nuisance. The fruit can no longer be used for its intended purpose, which was the edification of the body. It’s now poisoned and no good. The point here is when things, people, or situations are out of season, they can be hazardous to your health. Spiritually, we must not consume things that are no longer good for the (spiritual) body. While we are all trying to watch out for things that are in our lives that are out of season, it is just as important to make sure that we don’t stay in places longer than God intended. We can’t be so arrogant in our spirit that we refuse to believe that we can outgrow our usefulness in certain situations. God calls us to certain assignments, but not necessarily forever. The message may be everlasting, but the assignment may be temporary. Be sure that you’re in season wherever you are. And if you’re not, don’t assume that God can no longer use you because the harvest has come. God can still use you, He just may not need you where you are anymore. Move on to the next assignment. God may not be changing your call, your purpose, or your message, but it may be time to change the recipients.